Though the sentiment comes from one of their Christmas stamp sets, I am thinking this would make a cute New Years card. 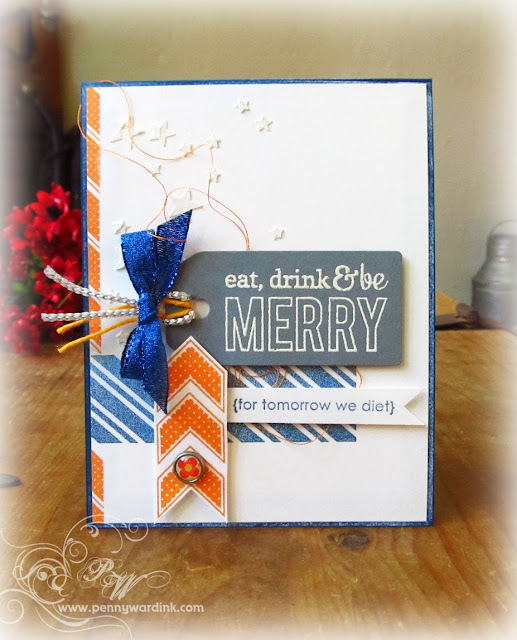 Card was initially stenciled with modeling paste, then stamped, stamped, stamped. 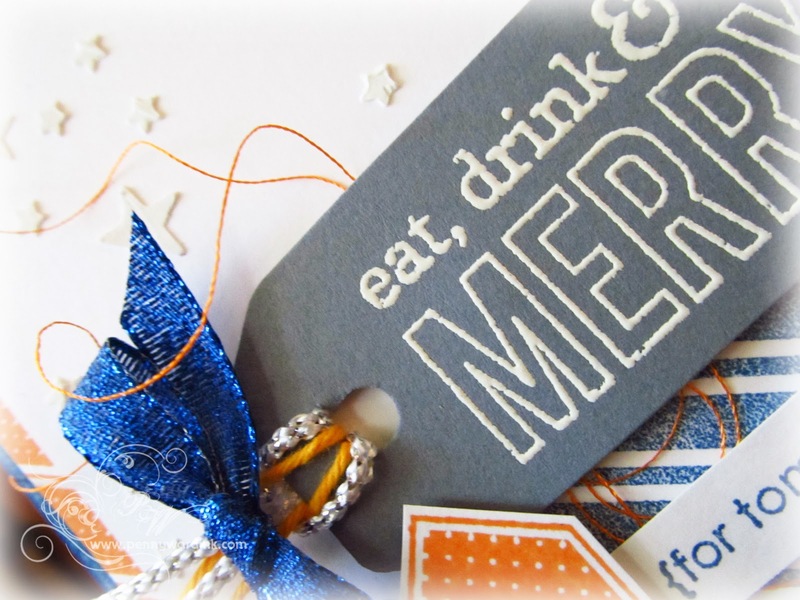 May I please eat and drink and be merry ... and skip the diet part!! What a great color scheme, Penny, love what you did with it (and made me chuckle, too). Thanks so much for sharing this with us at the Simon Says Stamp Wednesday challenge!